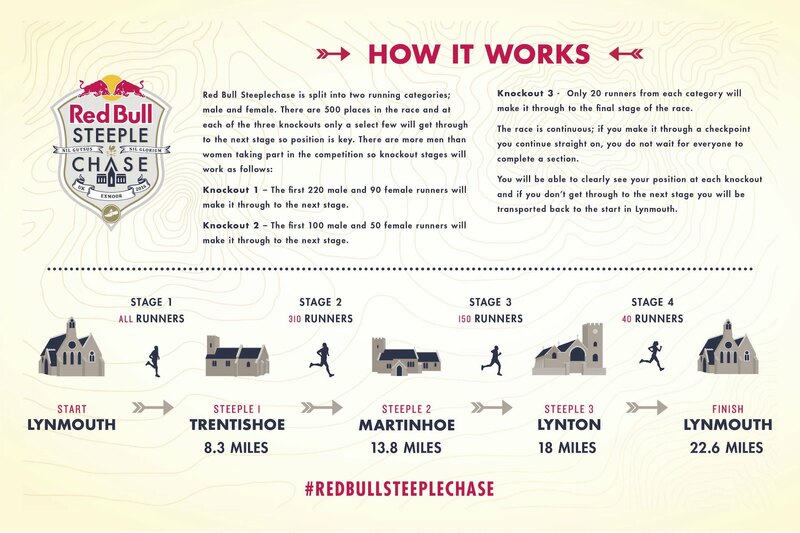 The Red Bull Steeplechase is one of the most exciting races on the UK calendar of running events. 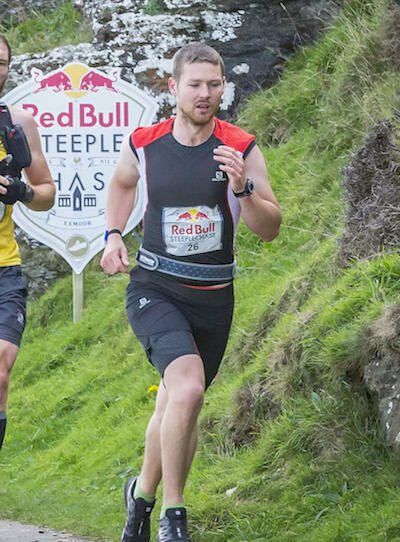 Editor Tobias did the event back in 2014, when it was in the Peak District and swears it almost broke him, despite being one of the Top 30 Males to reach the finish. 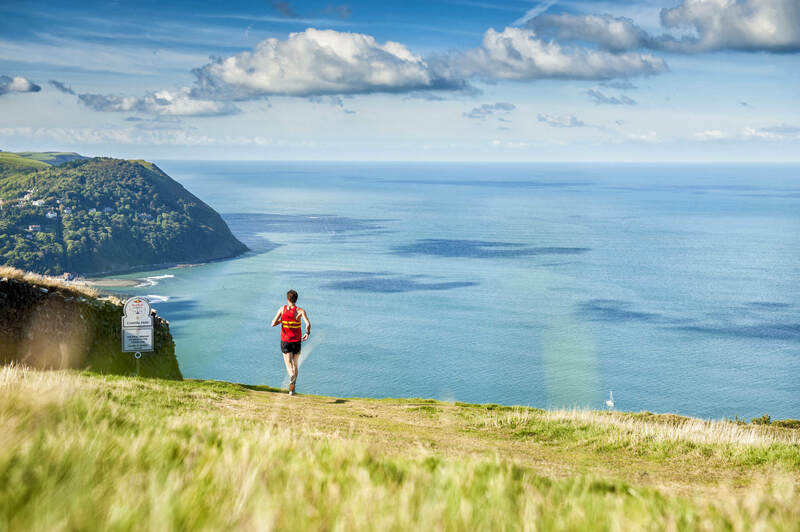 Two years on, RedBull have moved the event to Exmoor National Park, so we sent Sim Benson, co-author of Wild Running, to experience firsthand this quirky yet savage knockout race. The start’s buzzing; my heart’s pounding. 300 guys, ready to race, waiting for the gun to go. Suddenly we’re off, sprinting for position; jostling on the first climb, so steep we’re forced to a walk even at this early stage. The trail flattens and the pace rises again, I’m chasing and being chased; but what’s my position? 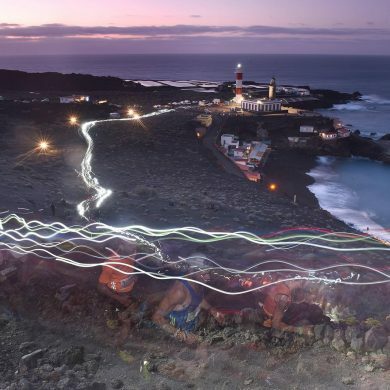 The winding cliff edge path makes it hard to count the runners, I concentrate and run faster, ignoring the doubts that tell me it’s too fast a pace for a hilly 23 miles – I’m not racing 23 miles yet; I’m racing to the next steeple. 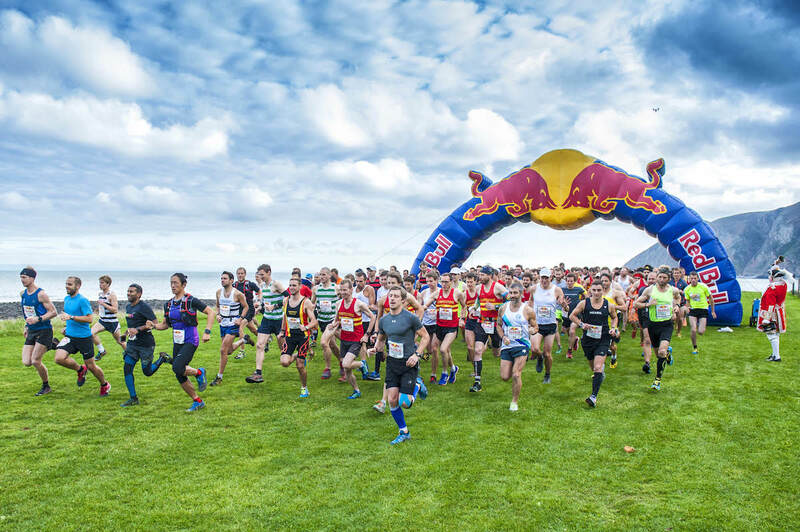 The Red Bull Steeplechase is an excitingly different event to the norm. There are four steeples to reach over the 23 mile course and the slowest runners are eliminated at each checkpoint. The knock out system challenges you to race for the next steeple but also to pace yourself for the full distance. 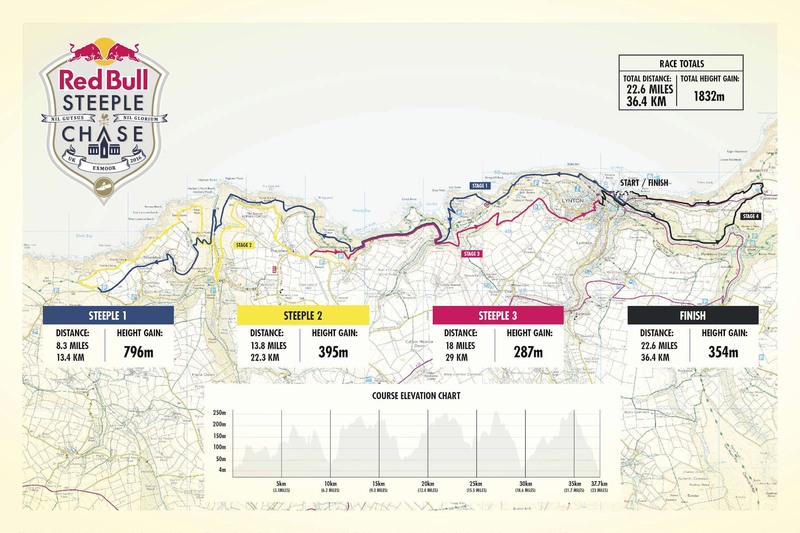 Combining this format with the awesome technical and hilly Exmoor coastal terrain creates a great race. 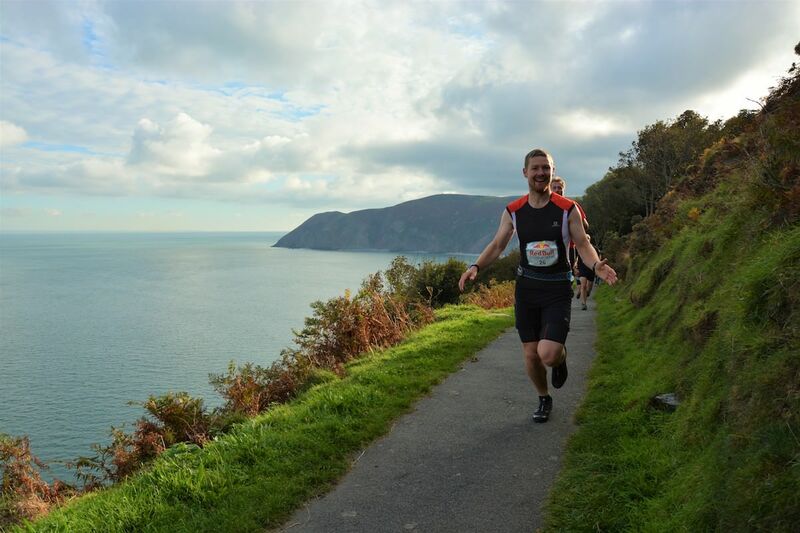 I was very aware that position is always important in an event like this as I lined up with almost 300 other male runners in the pretty village of Lynmouth I aimed to be near the front. The 100 women runners would start 15 minutes behind us. Only the first 220 men and 90 women are allowed through the first steeple after just over 8 miles and I was determined not to be eliminated there. The Town Crier started us off and we all sprinted for the coast path which harshly zig zags up to Lynton before heading out towards the beautiful Valley of the Rocks. 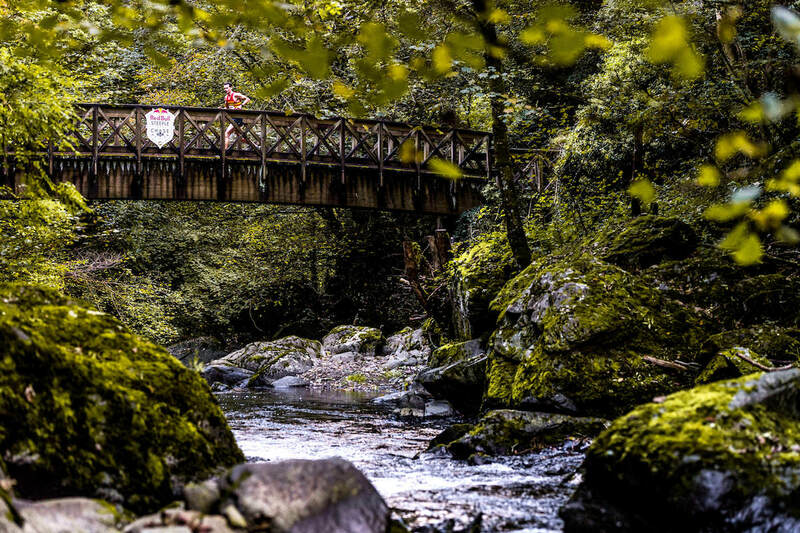 Exmoor isn’t particularly high, but it’s dotted with steep-sided valleys. 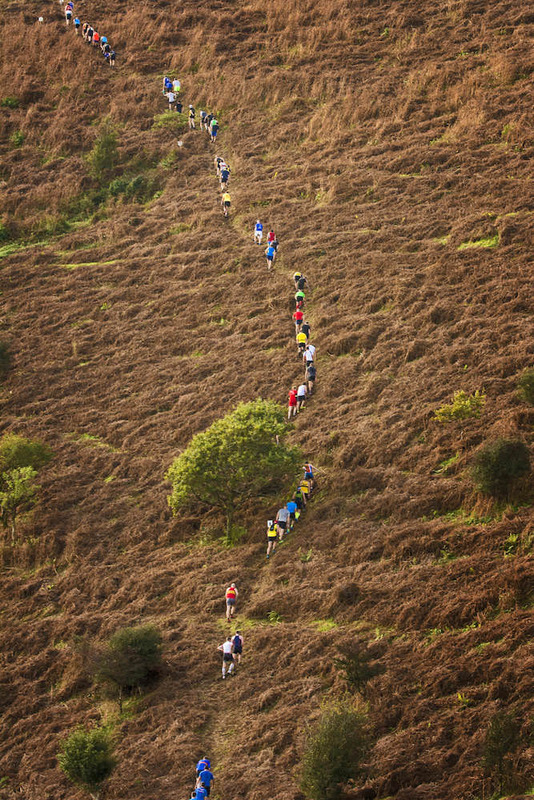 The course made the most of the hills, packing in over 1800m of leg burning ascent. Underfoot it was predominantly runnable and fast, but required sure feet, often with the real potential of falling a couple of hundred metres to the sea. 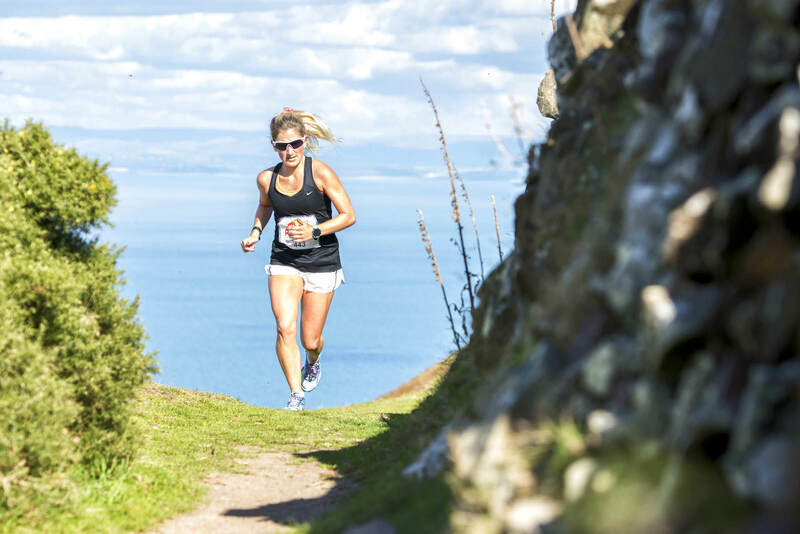 The course is a mixture of sweeping coastal single track, quite country lanes and some steep sections of hillside that wouldn’t have felt out of place on a classic Lakes fell race. The views where spectacular if you were brave enough to take your eyes of the trail. I got through the first steeple in about 70th place: spot on for my “realistic” race plan of making it back to steeple 3 in Lynton but confirming that I didn’t have the legs to make the top 20 who make it through to complete the full course. I still had to race though – steeple 2 at 14 miles only allows the top 100 men and 50 women through, and with 150 chaps behind me I couldn’t afford to let too many people pass me. 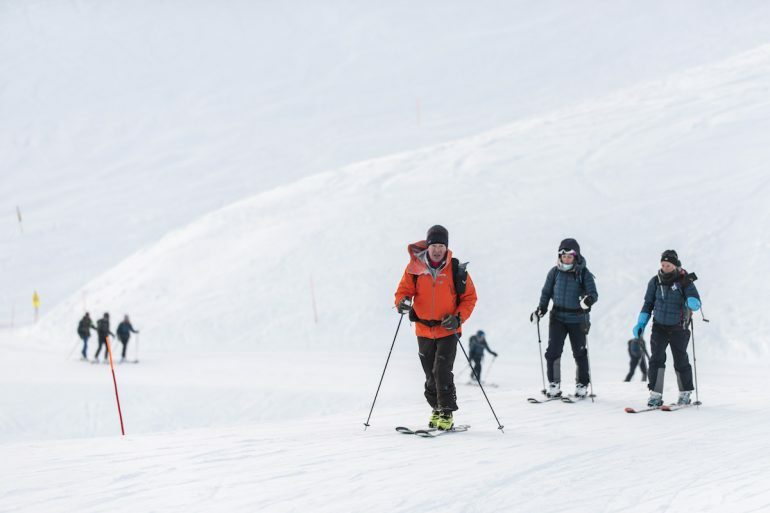 I loved the added challenge of constantly racing for position and trying to keep track of my place; the knock out format means everyone has the full-on race feeling normally reserved for those finishing within site of the podium. In the Steeplechase, every person you overtake matters and anyone overtaking you is worth chasing. Interestingly, once we were through the second steeple the pace of the race changed. I was about 80th so I had no chance of getting through the final steeple (only 20 from each category are allowed through) and nor did any of the other runners around me, so we could relax. The hard racing feeling evaporated and we chatted and admired the views as we ran the last few miles of our race. I was pleased that I’d managed to get to the third steeple at 18 miles; and although slightly disappointed that I didn’t get to run the final section, my legs were relieved: the final 4.5mile section has a punchy 354m of ascent. 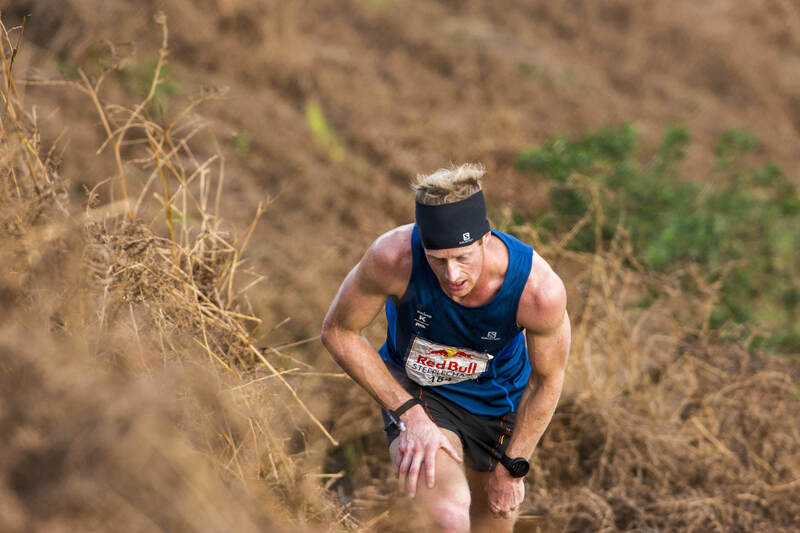 From a personal perspective, it was exciting to race against Salomon International team member, Ricky Lightfoot, who won the men’s race and also set the fastest time on every section in a strong field with the top 5 men all coming in under 3 hours. Claire Rogers won the women’s race running a tactical and well-paced race. 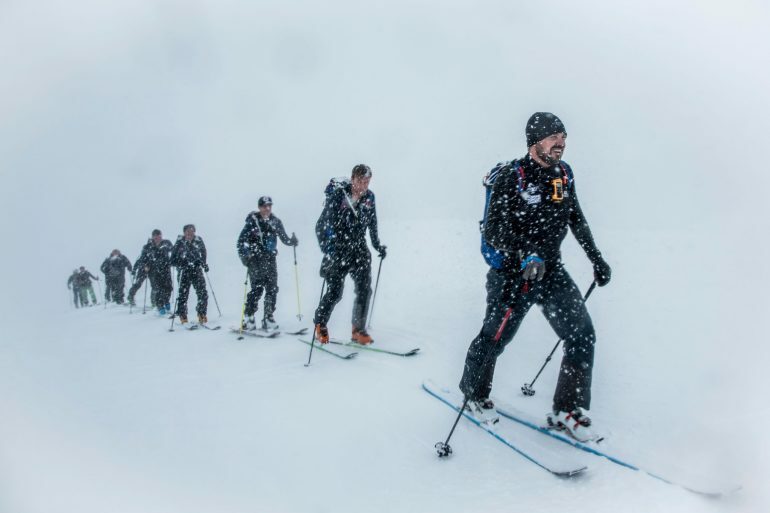 Regardless of where you finish, Red Bull have created a different and challenging event that’s really fun to race. And as an event, it was fantastically organised and the cream tea at the end was spot on! Set yourself a target and try and pace yourself for it; if you want to finish the full course you need to be about top 20 from the start. Practise running on similar terrain; the technical single track and steep hills are a lot of fun if you are happy on them but will slow you down hugely if you aren’t. Arrive early enough to enjoy the start line atmosphere and give yourself time to stay for the food and music afterwards. And have fun – it’s an awesome event! 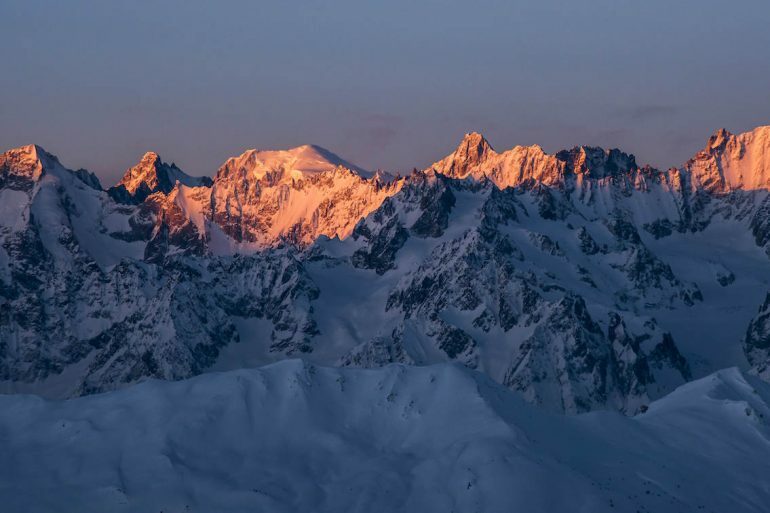 With a background in climbing, mountaineering and expeditions, Sim loves getting outside and getting involved. 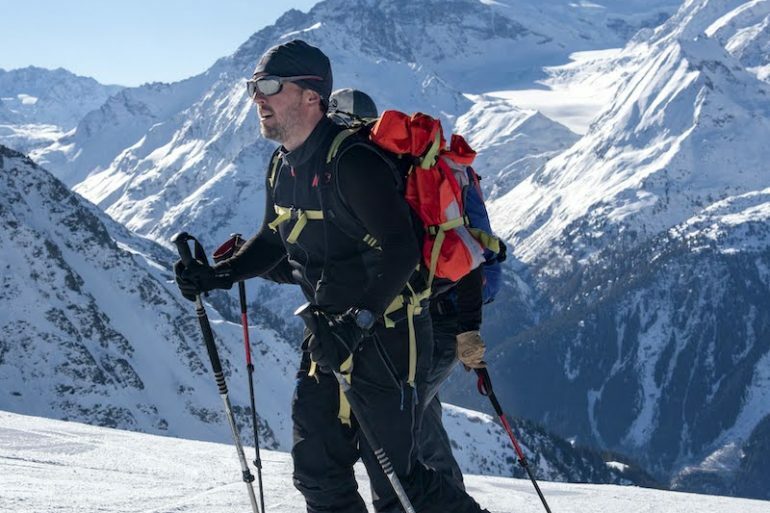 He's completed marathons, mountain marathons, ultras, Ironman triathlons, the Endurancelife Coast to Coast Extreme and this year's Lakes Sky Ultra. Sim and wife Jen are the authors and photographers of guidebook Wild Running ; routes editors and gear gurus for Trail Running magazine; columnists for Running magazine and contributors to Trail, Country Walking and BBC Countryfile magazines. They spent 2015 living in a bell tent with their two kids, now aged 5 and 2, having awesome family adventures. Their new book is out in spring 2017.